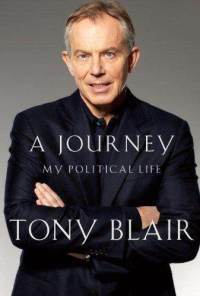 Right now I am reading Tony Blair’s autobiography, A Journey – My Political Life. Besides providing helpful insight into a modern Progressive’s mindset (e.g. he says that he and Bill Clinton think a lot alike regarding progressivism) this book is packed with leadership insights. Whether or not you agree with Tony Blair’s decision his leadership instincts are worth studying. One topic he discusses much and frequently with helpful insight is the matter of change. The change is proposed; it is denounced as a disaster; it proceeds with vast chipping away and opposition; it is unpopular; it comes about; within a short space of time, it is as if it had always been so. […] if you think a change is right, go with it. The opposition is inevitable but rarely is it unbeatable. There will be many silent supporters among the vocal detractors. And leadership is all about decisions that change. If you can’t handle that, don’t become a leader. Are you leading change? Don’t lose heart!